Welcome to the newest addition to the LiteHawk Mini collection! 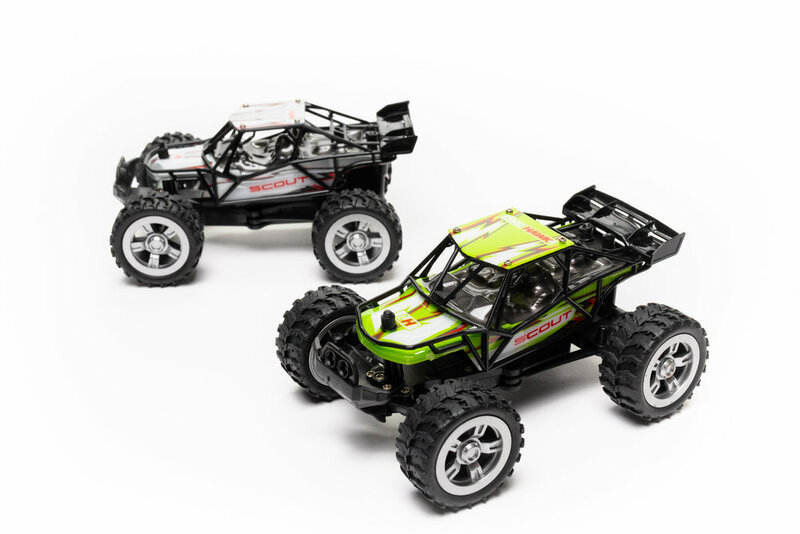 The MINI SCOUT brings an all new desert racer body design to the already diverse LiteHawk Mini R/C lineup. Fully detachable and highly durable - the body design takes inspiration from other LiteHawk vehicles such as the SCOUT and ACE. Zip across any surface both indoors and out! The MINI SCOUT is much more powerful than its size suggests; hit speeds of 20 KM/H (12 mph) and turn on a dime! 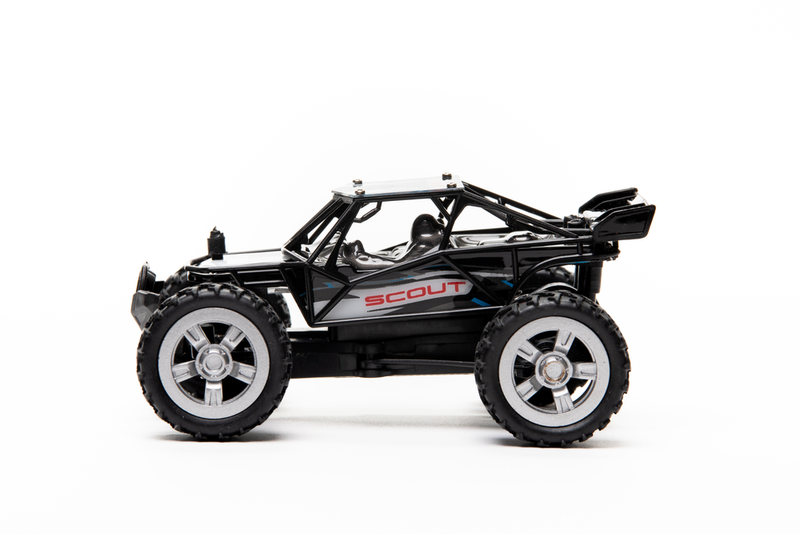 MINI SCOUT comes equipped with rubber tires for impressive grip and a powerful rear mounted motor. Run time is up to 12 minutes! Like all LiteHawk products, MINI SCOUT is factory tested and ready to run. Everything needed to run the vehicle is included in the box. Remote, vehicle battery, charging peripherals, instructions, and the MINI SCOUT are all included. Fully assembled and ready for adventure! 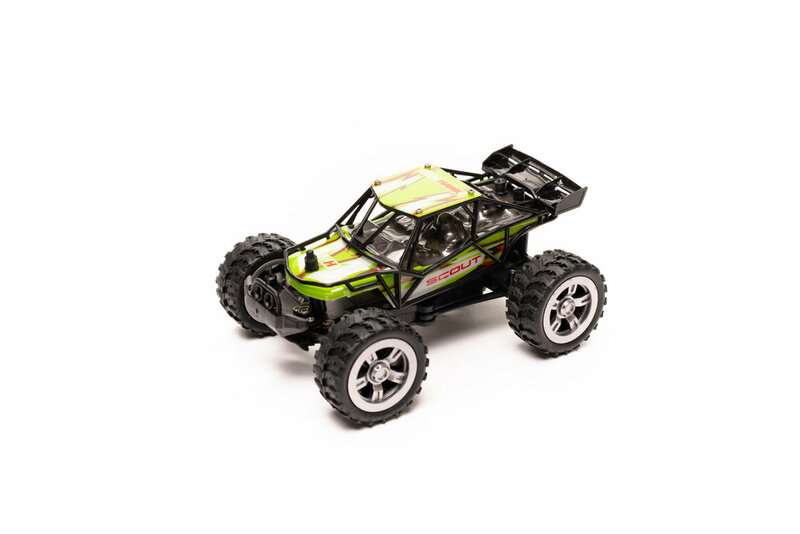 2.4Ghz Digital Controller with soft steering wheel and fully proportional throttle. Watch the MINI SCOUT in Action! We take the LiteHawk MINI SCOUT to the skate park to have some fun! 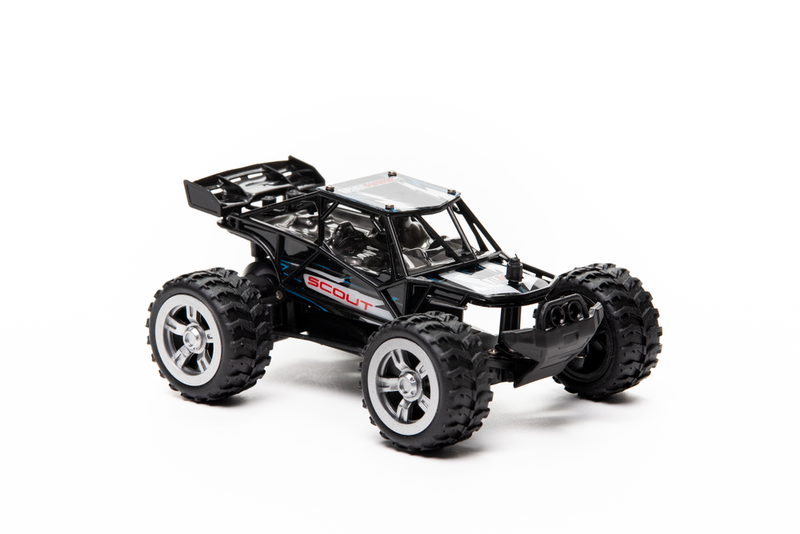 The MINI SCOUT is even more durable and fun due to its protective roll - cage! Check out what the MINI SCOUT is capable of. 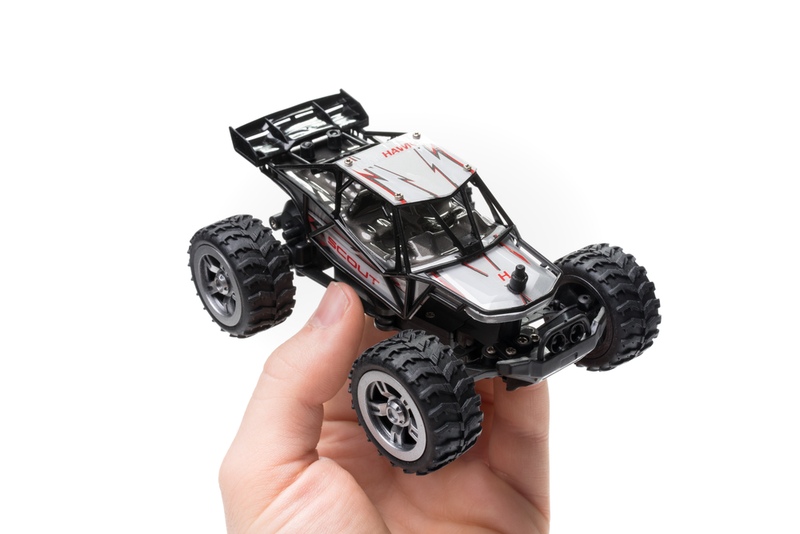 The LiteHawk Mini R/C vehicle lineup brings incredible performance on a micro scale. 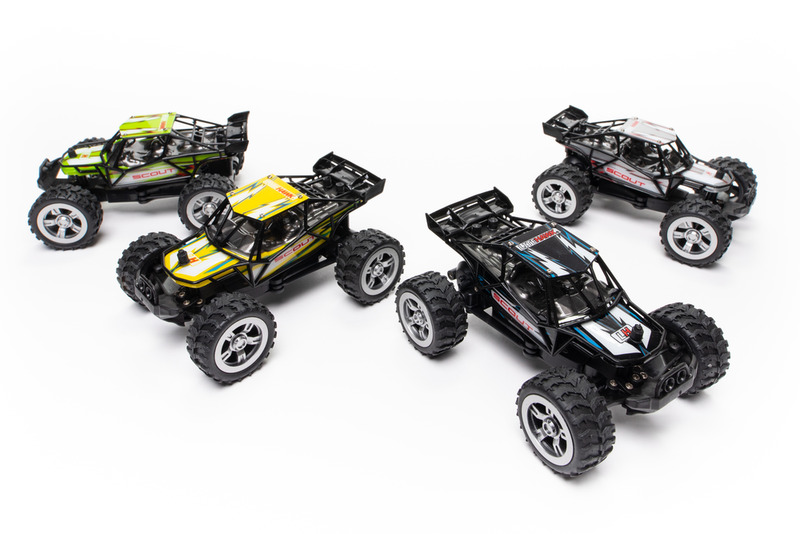 The MINI SCOUT adds to this diverse lineup by introducing a desert racer styled body, which is both highly durable and muscular in appearance. 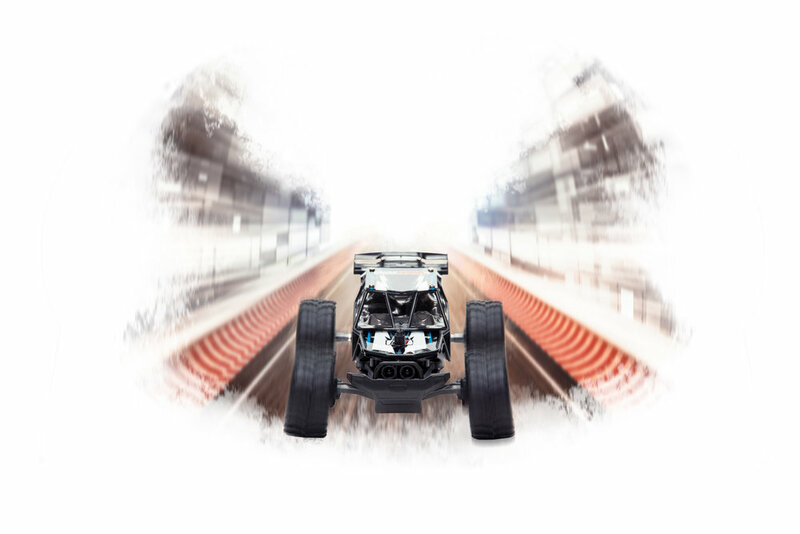 Unlike many mini vehicles on the market, LiteHawk Minis have functioning suspension to help conquer varying terrain types and put power to the ground. This helps the MINI SCOUT obtain high speeds and maintain cornering efficiency. The MINI SCOUT features a 12 minute run time between charges. Use the included USB charger to charge on the go! MINI SCOUT comes in four distinct colors. Race Yellow, Lime Green, Obsidian Black, and Metallic Silver. Can you collect them all? Parts and Technical is right here! We have in-depth Overview Videos that explain your new LiteHawk from top to bottom. Helpful Do-It-Yourself Guides are also available, along with downloadable Instruction Manuals.